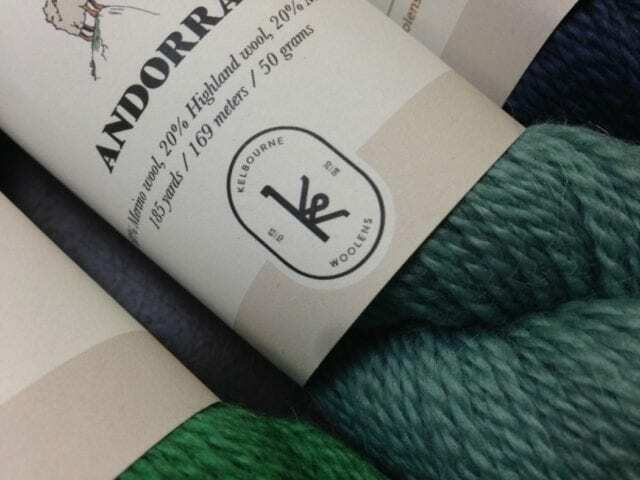 We’re thrilled to announce that Kate Davies’ new yarn is here! We’ve long been admirers of Davies’ writing and knitwear design, and keep a variety of her books in stock here at the shop. 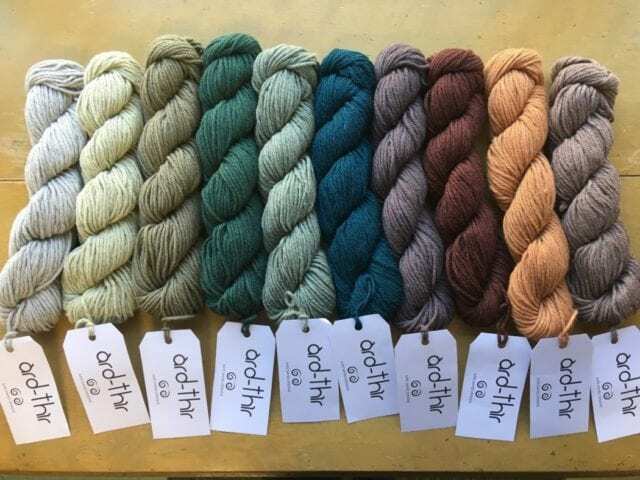 Since she started her own line of yarn a few years ago, we’ve longed to carry it, but she sells directly to consumers on her website, rather than through retailers like us. 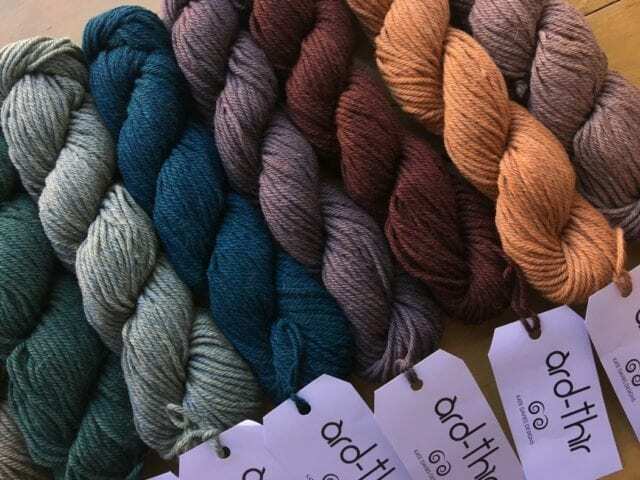 For her newest yarn, Davies has collaborated with Fyberspates to distribute Àrd-Thìr more widely, and we could not be happier to have it on our shelves and in our hands! 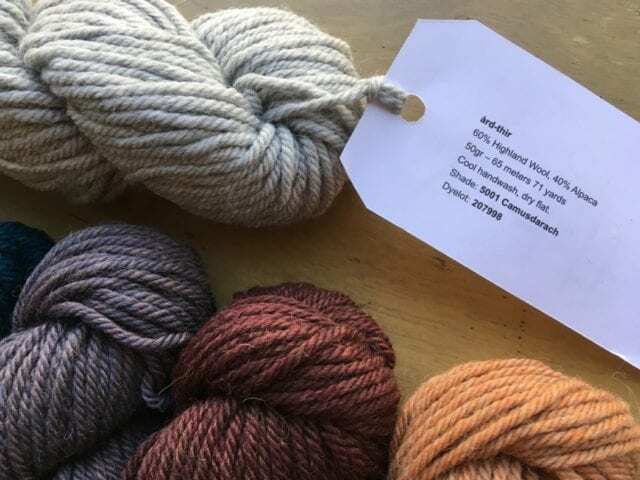 Kate Davies Àrd-Thìr is an aran weight blend of Peruvian fibers, 60% highland wool and 40% alpaca. 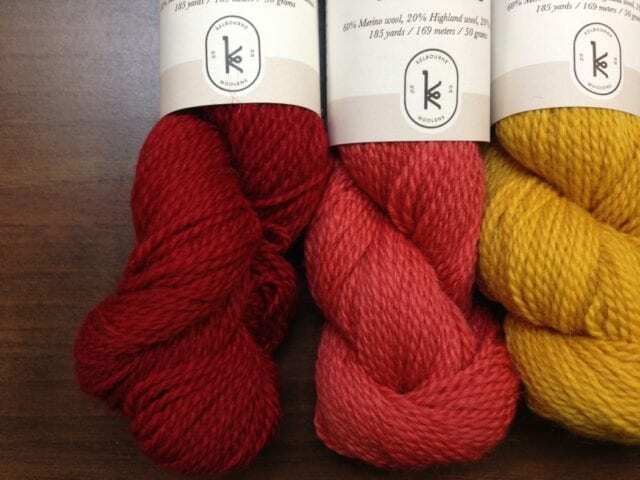 Each 50 gram skein has 71 yards, and it knits up at about 15-19 stitches over 4″ on needles from US 7-10.5. 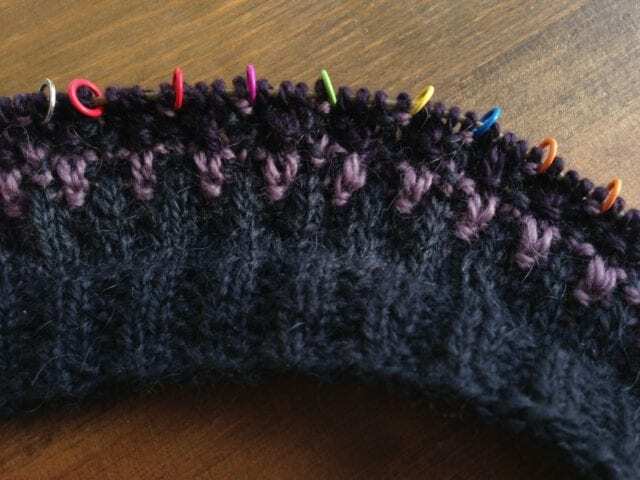 The texture is smooth and round, for sharp stitch definition and a springy elasticity in the hand. Àrd-Thìr comes in 10 heathered shades inspired by the winter landscape of the Scottish highlands, a beautiful muted palette. Head to Davies’ blog to read more about the inspiration, production, and sourcing that makes Àrd-Thìr so special. 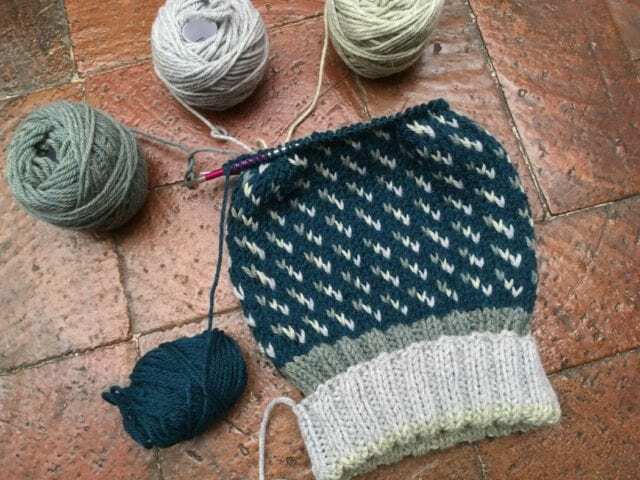 I’m the lucky knitter charged with making a shop sample in Àrd-Thìr, and I’ve cast on for Davies’ first available pattern for this yarn, the “Weel Riggit Hat.” It’s been delightfully quick to knit, a pleasure in my hands and on the needles. 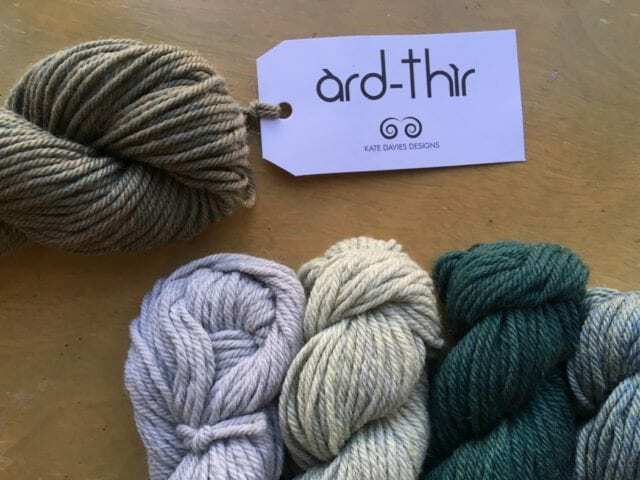 Come by the shop to see and touch Àrd-Thìr for yourself, and plan your next project! 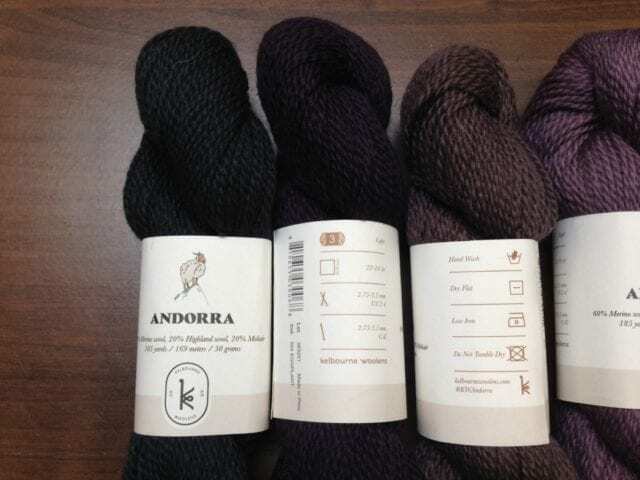 You’ll find it in our Aran weight section.